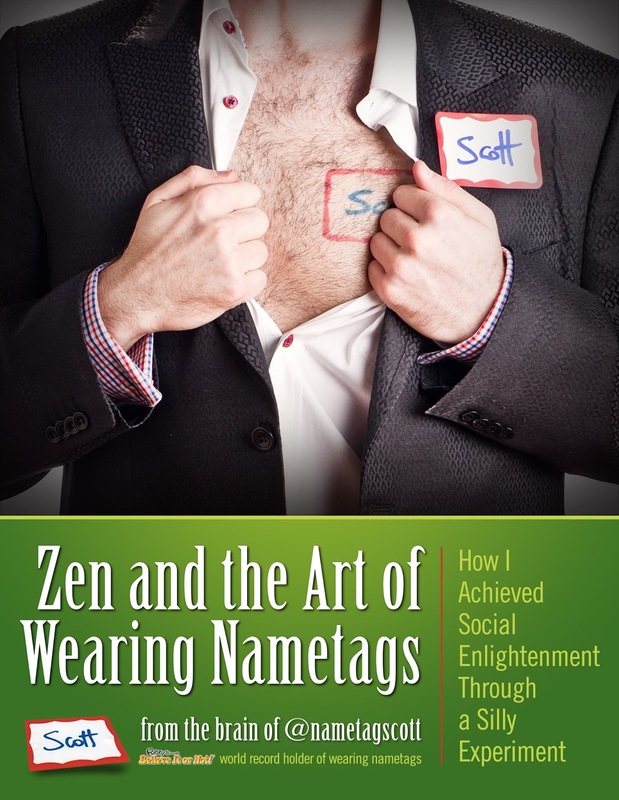 Zen and The Art of Wearing Nametags: How I Achieved Social Enlightenment Through A Silly Experiment ~ HELLO, my name is Blog! I wear a nametag twenty-four-seven. Yes, even to bed. And in the shower. But we’ll cover that later. Not to convince the whole world to wear nametags, but rather, to remind the everyone that they already do. But that’s just it. We already do. All of us. 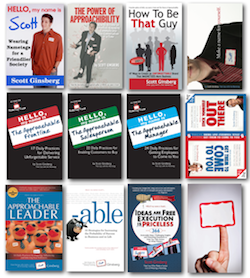 Every one of us wears a nametag every day. It might not be a sticker on a shirt or a badge at a conference. But it’s there. Whether we like it or not. As human beings, it’s impossible to walk through this world without broadcasting who we are. A nametag is a celebration of identity, an invitation for openness and a declaration of social belonging. It’s an acknowledgement, a human equalizer and a distance reducer. A nametag is a choice to label ourselves before others get a chance to. Sound like an ancient proverb? You can buy this book on Amazon for $4.99 here. 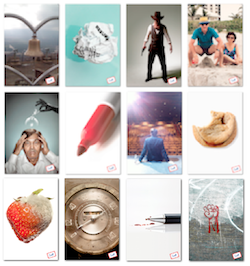 You can download a free PDF of the book here.